It’s that time of year again! December is upon us, the weather is finally cooling off, and it’s a time of celebration. As we get further into the holiday season, those calendars start filling up with over-the-top company parties, family get-togethers, and reunions with friends. Many of us will be attending multiple holiday parties over the next few weeks, which often means imbibing in a few extra cocktails as well. 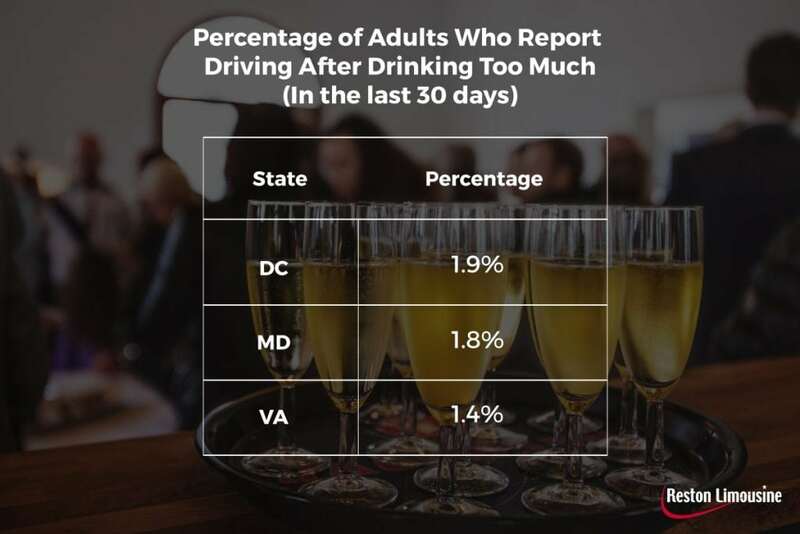 It all sounds like fun and games until you realize that with the influx in parties and drinks also comes an increase in DUI tickets and car accidents. Individuals who do not typically consume alcoholic beverages and are not used to the effects of alcohol might be enjoying a little spiked eggnog without realizing just how much a few glasses can impair their vision. The fact is that driving on the streets during the holiday season becomes much riskier than other times of the year. Be smart and don’t be a contributing factor to that spike in collisions. To play it extra safe this holiday season, the best idea is to ensure you have a designated driver for every party and event you plan to attend. Sure, you could wait outside to hail down a cab in the freezing cold weather, but who wants to face the elements when it’s time to head home and crawl into bed? While many use popular ride booking apps, this busy time of year also means that fewer cars are available, wait times increase, and surge pricing will be a common occurrence. 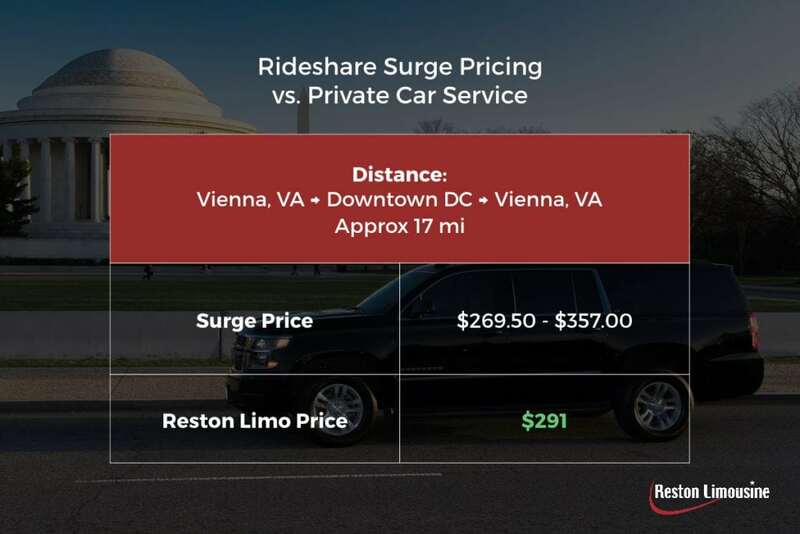 Here’s an example of the potential cost of a rideshare drop-off and pick-up during a surge. During the holidays, it can really add up! 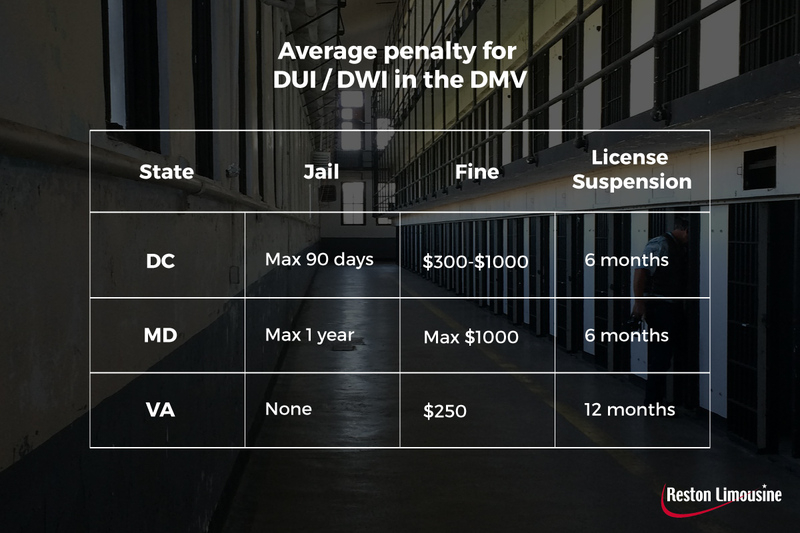 From Vienna to DC and back could cost you as much as $357 if you rely on one of the popular apps. Also note that Reston Limousine’s price includes 3 hours of service and during that time the driver will take you to as many locations as you want. Another popular route, from Potomac, MD to downtown DC and back, could cost as much as $385! With the unpredictability in pricing and wait times, it is much more convenient to have your driver planned out ahead of time and ready to take you home as soon as that party punch goes to your head. Let’s all avoid being given a DUI ticket as a holiday present this year. Enjoy those Christmas shindigs without paying the cost for it later.